Well, we decided we were gonna make Crock Pot Tortilla soup, which actually comes pretty close to Dutch Oven Tortilla Soup, and is soooooooooooooooo much better than Tortilla Soup made on the stove. So we made Crock Pot Tortilla Soup, Pumpkin Chocolate Chip Muffin Tops https://ourfunstuff.wordpress.com/2014/04/07/moist-pumpkin-chocolate-chip-cookies/, and German Apple Crisp https://ourfunstuff.wordpress.com/2014/12/23/german-apple-crisp-apfelkuchen/ for Thanksgiving dinner. 1. Saute onion in olive oil for 3 minutes. Add garlic and jalapeno pepper and continue sauteing until onion is translucent. 2. 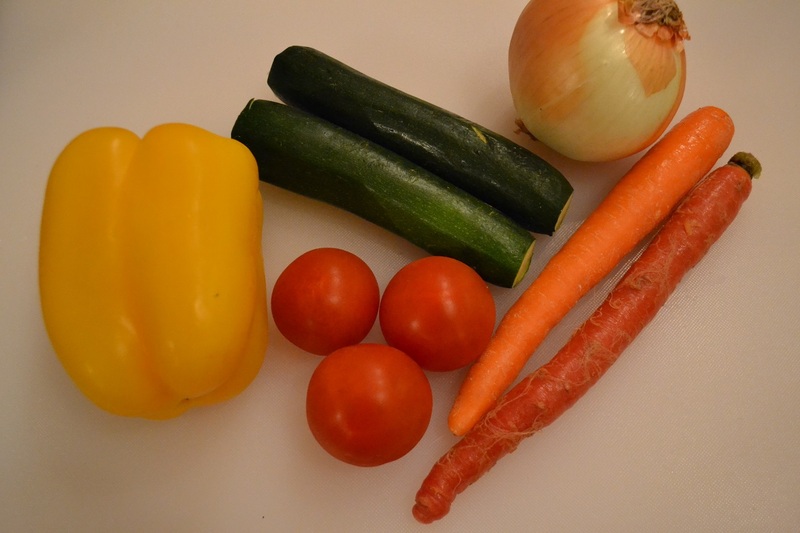 Add all ingredients to the crock pot (3.5 quarts). We added the tomatoes and beans first, including the water. Add all the other ingredients, except spices. Add the onion mixture. 3. Set crock pot to cook for 4 hours at high or for 8 hours at low. A few minutes before it is finished cooking add the taco seasoning and a dash of cayenne pepper to taste. 4. Serve with cheese sprinkled on it and cheese quesadilla. Pretty traditional Thanksgiving meal, don’t you agree?! Well, it just makes for a very yummy and delicious meal. Enjoy! Tortilla soup is super delicious with cheese quesadillas. Sauteing onions, garlic, and jalapeno. 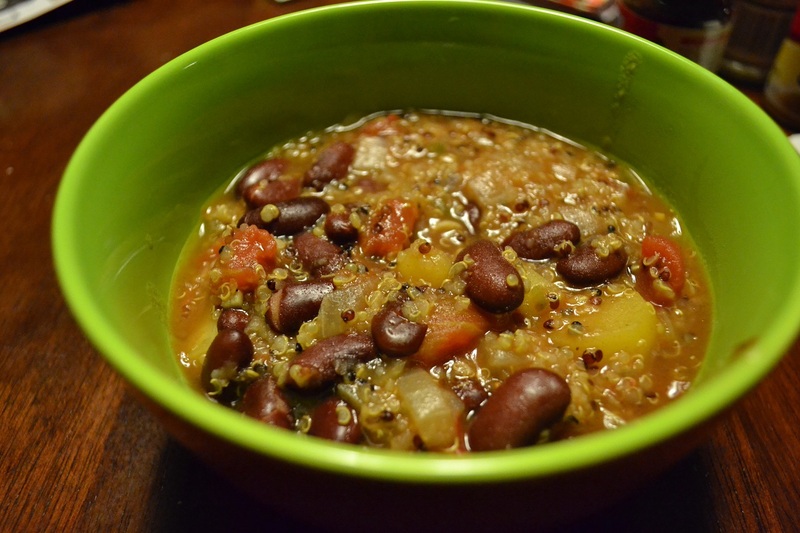 Categories: Appetizers & Snacks, Crock Pot, In The Kitchen | Tags: carrots, crock pot, garbanzo beans, kidney beans, pinto beans, potatoes, soup, vegan, vegetarian | Permalink. Wir lieben Lasagne, aber wer auch nicht?! =) Es ist einfach zu kochen und es macht auch richtig Spass Lasagne zu kreieren. 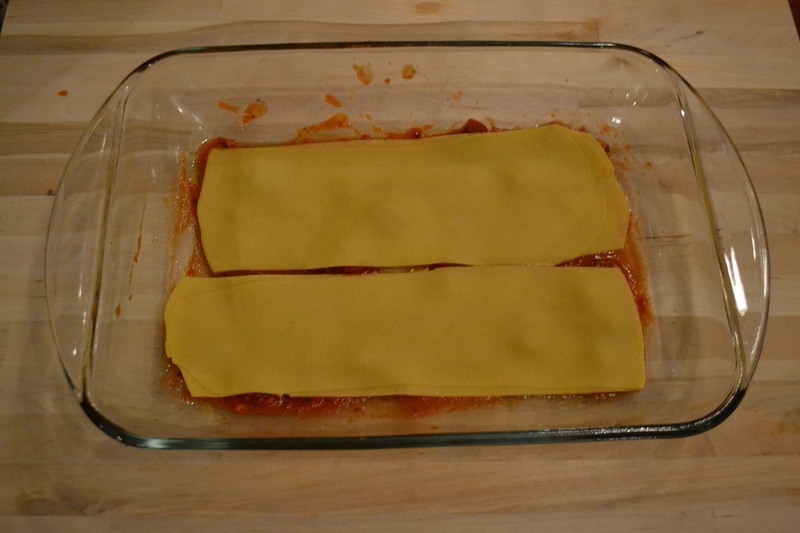 Zusaetzlich kann man es als Hauptgericht anbieten, wenn Gaeste kommen…oder die uebriggebliebene Lasagne halt spaeter geniessen. Diese uebriggebliebenen Portionen sind ideal als Mittagessen oder man kann sie einfrieren und spaeter geniessen. Je nach der Jahreszeit oder der Vorliebe fuer bestimmte Gemuesesorten kann man die Zutaten anpassen. Fuer dieses Gericht haben wir gekaufte Pastasosse benutzt. Aber wir haben die Nudeln selbstgemacht. 1. Vermische das Mehl und die Eier (geht am besten in einer Küchenmaschine), bis der Teig weich und einfach zum Knetten ist. Falls die Eier klein sind or der Teig nicht richtig zusammenkommt, versuche ein bisschen Milch zuzugeben. 2. Wenn der Teig weich und nicht zu klebrig ist (wenn zu klebrig versuche etwas Mehl hinzuzugeben), benutze die Küchenmaschine um den Nudelteig flach zurollen. (Man kann auch ein Nudelholz benutzen, aber es wird länger dauern den Teig gleichförmig und dünn auszurollen). Rolle den Teig in 6 Streifen, so dass Du daraus 2 Lasagneschichten machen kannst. 1. Erwärme das Öl in einer grossen Pfanne. Gebe die Zwiebel hinzu und erwärme sie für ungefähr 5 Minuten, bis die Zwiebel weich ist. Gebe die Möhren hinzu und erwärme fuer ungefähr 5 Minuten. 2. Gebe die Zucchini, gelben Paprika, Tomaten, und Gewürze hinzu. Koche alles bis das Gemüse weich ist. Sei vorsichtig das Gemüse nicht zu überkochen, da sie noch im Backofen gebacken werden. 2. 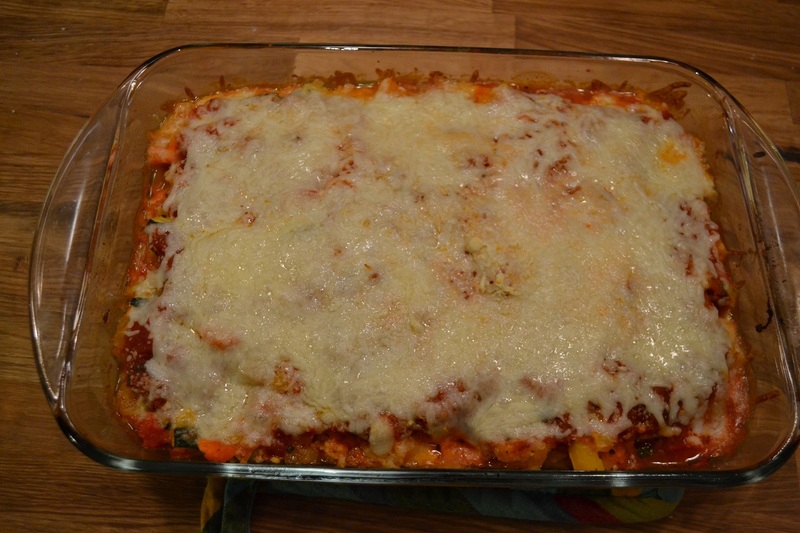 Lege drei ungekochte Lasagne Nudeln (siehe oben) auf die Tomatensosse. Verteile die Hälfte des Gemüses gleichmässig auf die Nudeln. Verteile die Hälfte der Tomatensosse gleichmässig auf das Gemüse. Bestreue alles mit Käse. Wiederhole die Nudel-, Gemüse, Tomatensosse- und Käseschichte. 3. Backe die Lasagne im vorgeheizten Backoven (ungefähr 204 Celcius) für ungefähr 30 Minuten. Überprüfe ob die Nudeln fertig sind mit einer Gabel. Geniesse mit frischgebackenem Brot. 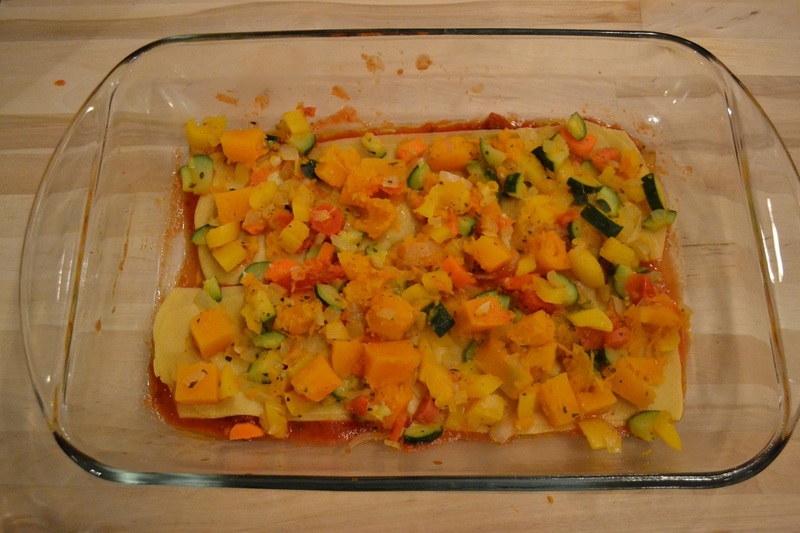 Categories: In The Kitchen, Main dishes | Tags: carrots, home-made pasta, lasagna, onion, vegetarian, zuchini | Permalink. As promised, I would revisit the green curry. Tonight’s kitchen experiment can be called a success. Hans and I absolutely loved how this recipe tasted. We will definitely make this recipe again. So, earlier today I came up with a list of vegetables I really wanted to be in this curry. The last curry contained sweet potato and eggplant. While I really want to like eggplant, maybe I just need to admit that it is not my favorite. So this recipe was to be eggplant-free. I decided to have sweet potato, rain bow carrots, and peas. Maybe next time I will use the chickpeas and green pepper as well. 1. Heat oil in the wok with medium heat. Add the onion, garlic, and curry pasta. Saute 2-3 minutes. 3. Meanwhile cook Jasmine rice following the cooking directions as provided on the packaging. $. Lastly add the peas, sea salt, and Cayenne pepper to the curry and heat through, another 5 minutes. 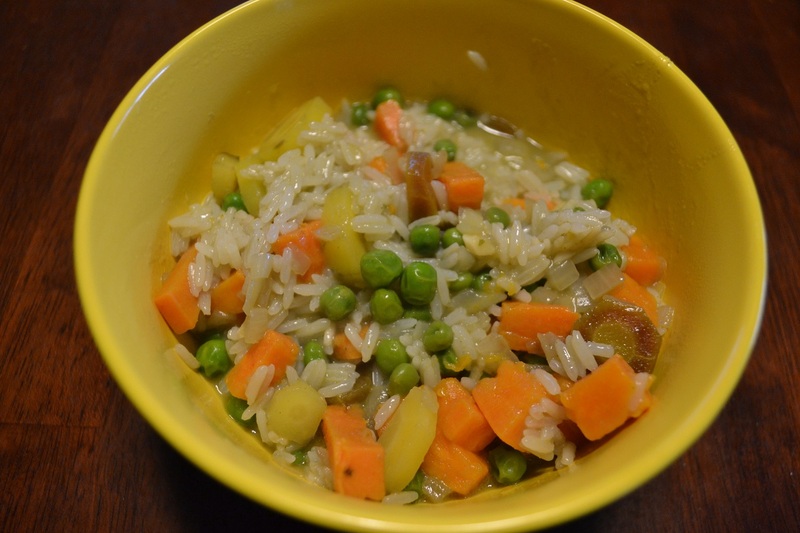 Serve over Jasmine rice. Enjoy. * Carrots and sweet potatoes are a good source of beta carotene, vitamins C and B, fiber, and iron. * Peas are rich in vitamin C, thiamine (B1), fiber, folate, phosphorus, and iron. * Coconut milk is naturally lactose-free. Categories: In The Kitchen, Main dishes | Tags: carrots, coconut milk, peas, sweet potato, Thai curry | Permalink. We love lasagna, but who doesn’t?! =) It is very easy to make and it is so much fun to make it. Also it makes a full meal if you plan on having dinner guests or without dinner guest you end up with leftovers. These leftovers are ideal delicious lunches or you can freeze the leftovers and enjoy later. 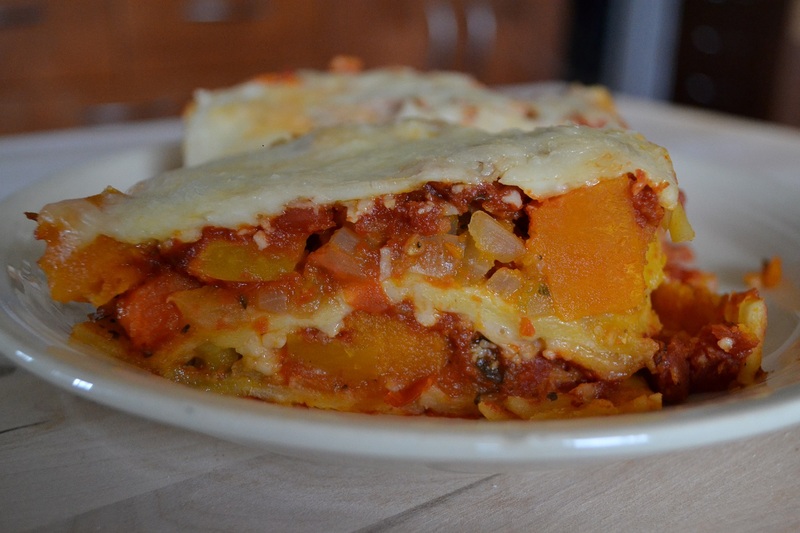 Depending on the season or veggie preferences, the ingredients can be adjusted, which is another great benefit of making home-made lasagna. For this particular recipe, we did not make the tomato sauce from scratch. It was store-bought. However, we did make the lasagna noodles from scratch. 1. Add flour and eggs to the KitchenAid and mix until it makes soft pliable dough. If the eggs are small or the dough does not seem to come together, try adding a bit of milk. 2. Once dough is soft but not too sticky (if too sticky, add a tiny bit more flour), run it through the pasta-press attachment. You will likely have to run it through a couple of times until the pasta has the desired thickness. Keep in mind that you do not want the pasta noodles too thin or too thick. Place the pasta noodles to the side. 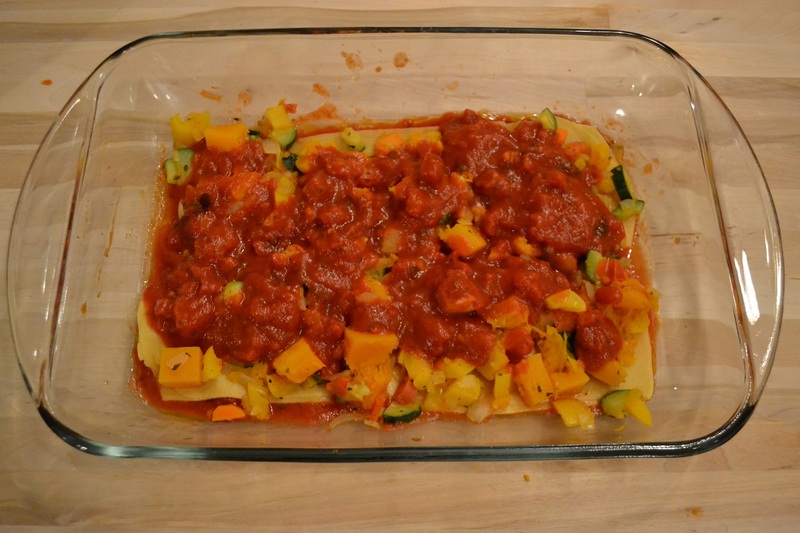 Make 6 noodles (similar in size to the store-bought lasagna noodles), enough to make two layers in the lasagna dish. 1. Heat olive oil in large pan. Add onion and cook for about 5 minutes, until soft. Add carrots and continue cooking over medium heat for approximately 5 minutes. 2. 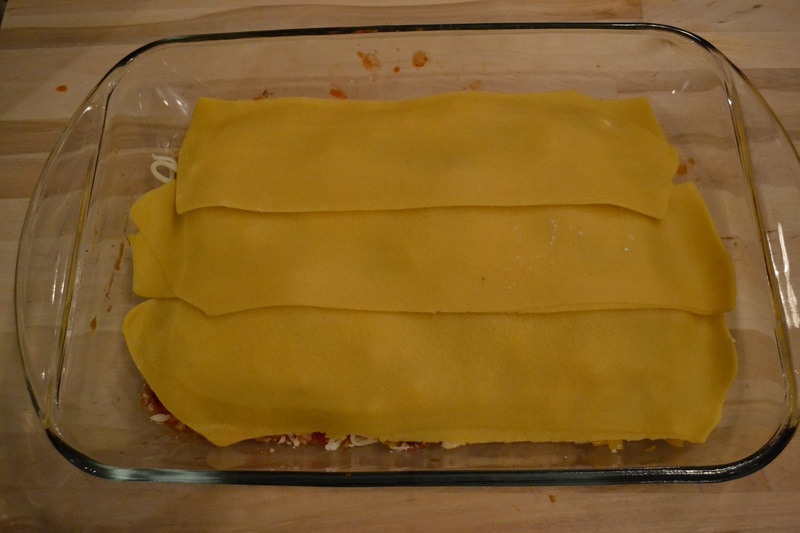 Layer three uncooked lasagna noodles on top of the pasta sauce. 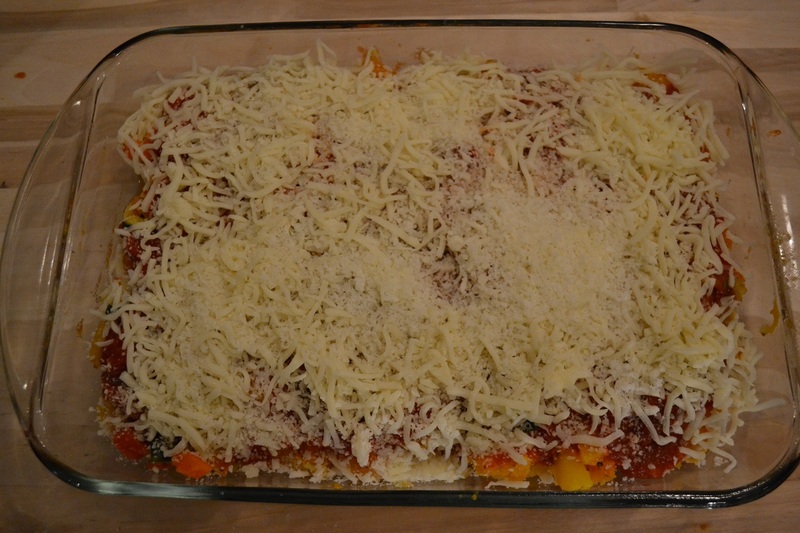 Layer half of the vegetable mixture on top of the lasagna plates and spread evenly. 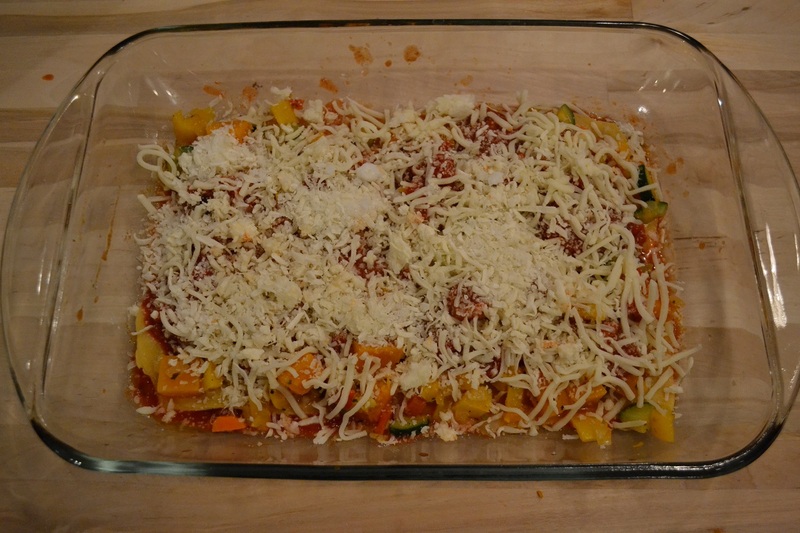 Spread of the pasta sauce on top of the vegetables and sprinkle with cheese. 3. 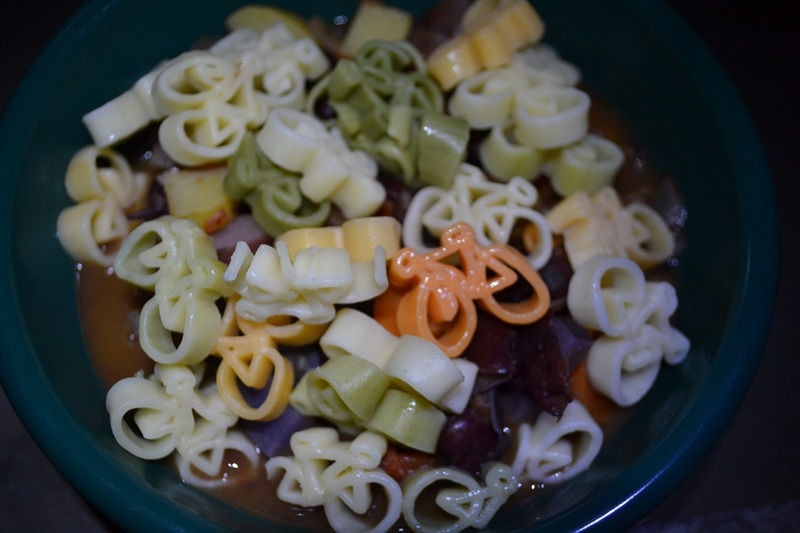 Repeat layering with another three uncooked noodles, pasta sauce, and cheese. You can use store-bought lasagna noodles. Make sure to pre-cook them following the box instructions. You may have to increase the baking time a bit. Check with a fork testing for doneness of the pasta. Health benefits of this recipe * By not adding a ricotta cheese, egg, and parmesan mixture layer, we are able to reduce the amount of calories considerably. * The various vegetables contribute a variety of different vitamins, minerals, and dietary fiber. Categories: In The Kitchen, Main dishes, Uncategorized | Tags: carrots, cheese, home-made pasta, lasagna, onion, tomatoes, vegetarian, zucchini | Permalink. 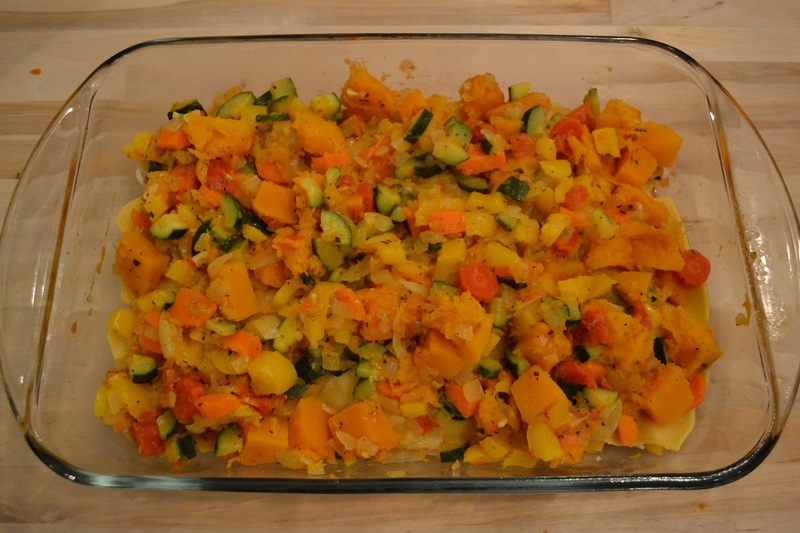 Here is another recipe that we successfully adapted for cooking in the dutch oven. The great thing about this recipe is that you can adjust its list of ingredients based on what produce is in season and better yet based on what you need to use up from your fridge or pantry. 1. Use a little bit of butter and coat the bottom and sides of the Dutch oven (8 inch). 3. Place Dutch oven on hot coals and cook for approximately 20-30 minutes. The length may vary depending on heat of fire, size of the veggies, and the desired done-ness). Check periodically and stir to prevent anything from sticking to the bottom or the sides of the Dutch oven. 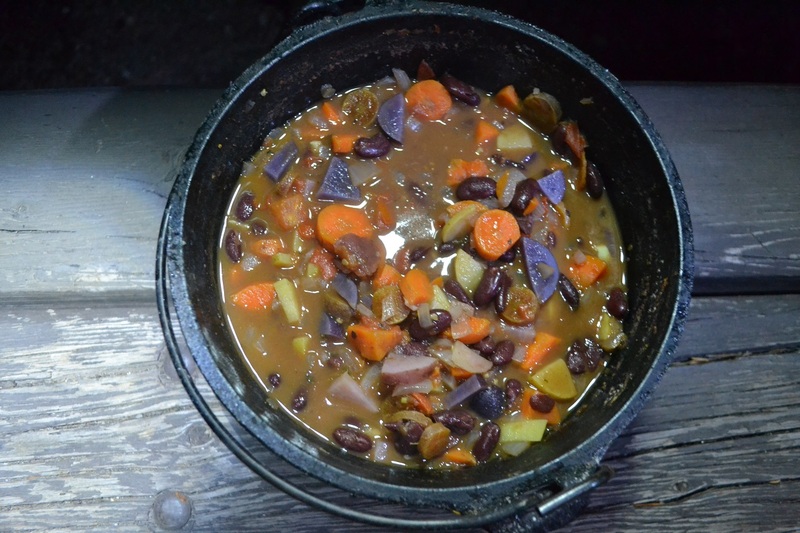 Categories: Dutch Oven, Dutch Oven Dinners | Tags: AUTUMN, camping, carrots, kidney beans, potatoes, soup, SUMMER, tomatoes, vegetarian | Permalink. 1. Slowly let chocolate chips melt. Place chocolate chips into stainless bowl and place on fire place. Alternatively, you can place the stainless bowl in hot water. Make sure that the height of the water is lower than the rim of the bowl containing the chocolate chips. 2. Wash the baby carrots and steam for 10-12 minutes. Steaming is preferred to cooking, as cooking will remove more of the nutrients than steaming does. Puree the carrots in a food processor for 2 minutes. It should yield about 1/2 cup of carrot puree. 3. Preheat the oven to 350°F. Coat an 8×8-inch baking pan (see note) with cooking spray. 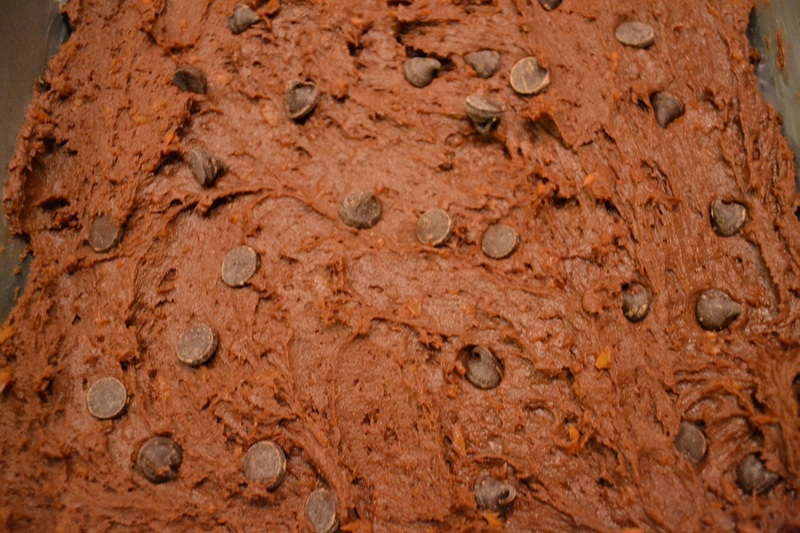 In a large bowl, combine the melted chocolate, carrot puree, sugar, cocoa powder, butter, and vanilla. Whisk until smooth, 1 to 2 minutes. 4. Mix in the egg. Add the flour, baking powder, and salt with a wooden spoon. The batter will be smooth and a bit sticky. Transfer the batter into the pan and bake 25 minutes, or until a wooden pick inserted comes out clean. 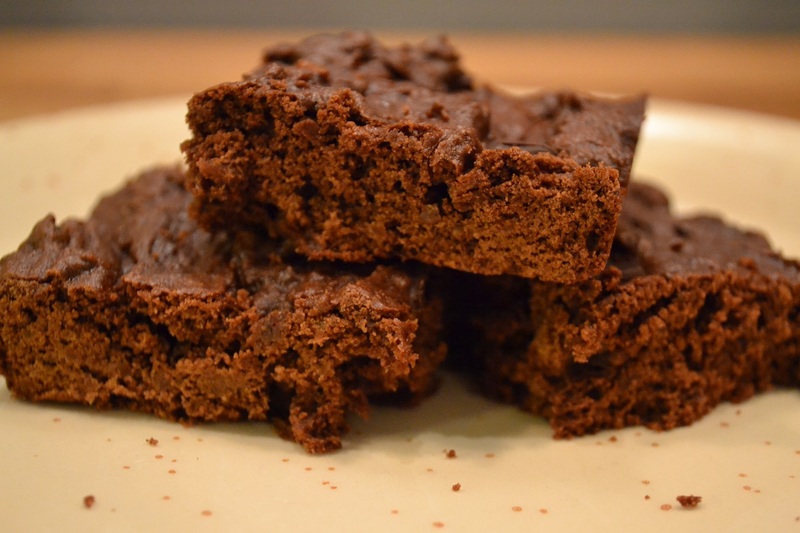 Note: The dough only made a 1-inch layer of dough, so make sure to not overbake the brownies, otherwise they will not be fudgy. Categories: Cookies & Treats, In The Kitchen | Tags: brownies, carrots, chocolate, low fat, low sugar, vegetarian | Permalink. Remember that large bag of organic baby carrots from Costco?! Well…we still had some left over…and I just decided to see whether I can use them in brownie batter. The first attempt was alright, but I decided NOT to share it on the blog. 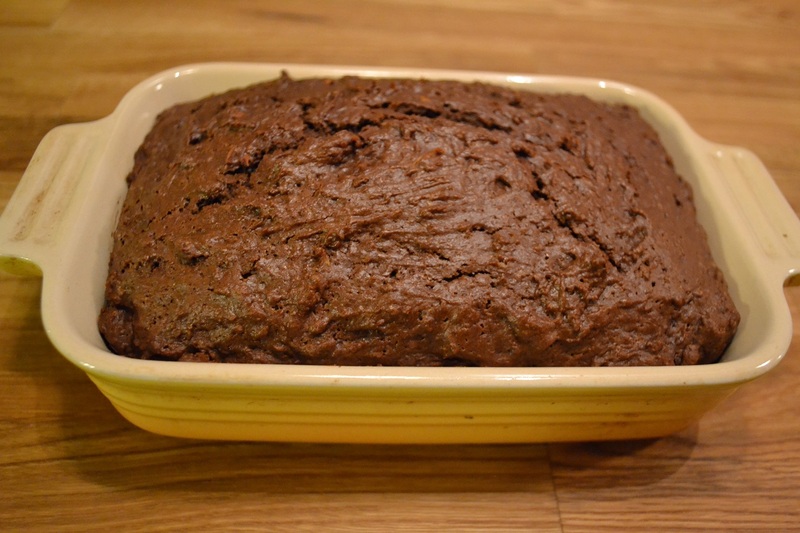 By sauteing the shredded carrots in oil and the cocoa powder, the brownies had a cake-like consistency and the presence of carrots was noticeable. For the second attempt, I decided to steam the carrots before adding them to the recipe. We also decided to use semi-sweet chocolate chips in addition to the cocoa powder. 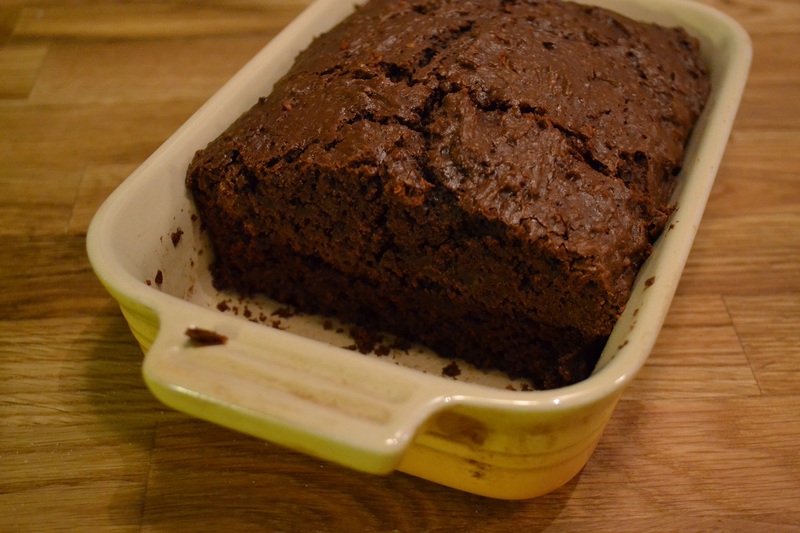 The dough made much more than anticipated and the brownies, which show no trace of carrots, are delicious. 4. Mix in the egg. Add the flour, baking powder, and salt with a wooden spoon. The batter will be smooth and a bit sticky. Transfer the batter into the pan and bake 35 to 40 minutes, or until a wooden pick inserted comes out clean. Note: Believe me, use an 8×8-inch baking pan. We used a much smaller pan, because we thought it was too little dough. The dough raises quite a bit and the 8×8-inch baking dish should be great. Categories: Cookies & Treats, In The Kitchen | Tags: brownies, carrots, chocolate, vegetarian | Permalink.